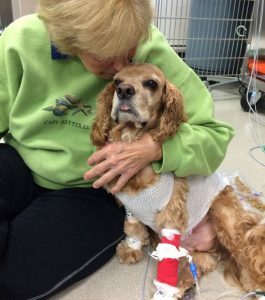 Susan Ryan and her 9-year-old cocker spaniel, Goldie, have become familiar faces at the NC State Veterinary Hospital since Goldie received a pacemaker three years ago. And the faces at the hospital have become more like family. It’s the hospital’s well-rounded compassionate care that Ryan appreciates the most and has come to expect. She and her primary care veterinarian in Richmond call with questions and receive timely answers from the cardiology service. Ryan brings Goldie in for check-ups — the most recent was October and his pacemaker is going strong — and to treat his endocardiosis, a mitral valve disease that can result in heart failure and requires medication. Small animal intern Rachel Dickson, Ryan said, has been particularly helpful when Goldie has struggled to take the medicine, typically a large pill. Ryan has felt moved to make an extra effort of her own; she has started donating $100 yearly to the hospital. For Ryan, charitable donations must feel meaningful. She wants to celebrate a strong connection she has made and give thanks for a special relationship she treasures. 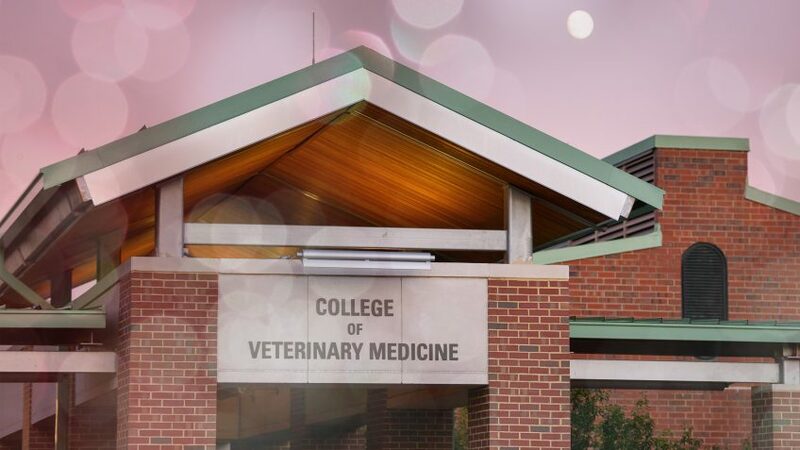 To make your own gift to the CVM, go here.